For over 35 years, Bruce Templeton has enjoyed assisting Santa and St. Nicholas in St. John’s, Newfoundland, Canada. Each year, with a team of helpers from the business community of his area, a massive good will operation takes place. With over 50 visits, starting with the Santa Claus Parade and ending on Christmas Eve in the Children’s Hospital, Bruce is pivotal to the collecting of over 20 tons of food. With the assistance of his helpers, he works to fly 18 children on a real plane to meet Santa in the North Pole. Seventeen of the children are selected by a radio station and one child is selected from the hospital, as this will likely be his or her last Christmas. 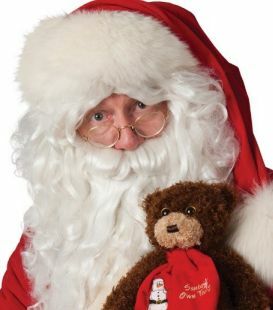 As volunteer Santa, all revenue and a portion of revenue from the sale of his memoirs (The Man in the Red Suit and The Man with the White Beard) goes to Rotary International and has bought polio vaccines for more than 240,000 children in Pakistan, Afghanistan and Nigeria.